This article originally appeared on PC Advisor. The 8-year-old Xbox 360 console. Tomorrow Microsoft will reveal the next generation of Xbox console. So we've taken a look at what to expect from the fabled Xbox 720. The gaming industry has come a long way since the Xbox 360 launch in 2005, a whopping eight years ago. All those years ago, Microsoft was something of an underdog compared to Sony and Nintendo. However, as it announces the next Xbox tomorrow the situation will be somewhat different. Nintendo launched the Wii U with its tablet-like controller before Christmas and Sony unveiled the PlayStation 4 in February, although we only got a look at the PS4 controller. All eyes are on Microsoft now as it is the last of the big console manufacturers to make its move. "On Tuesday May 21, we'll mark the beginning of a new generation of games, TV and entertainment." said Larry Hyrb, aka Major Nelson, director of programming at Xbox. Read on to find out what to expect from tomorrow's big Xbox announcement. Xbox 720 reveal: will it be called the Xbox 720? The next Xbox is codenamed 'Durango'. Although it's been widely dubbed the Xbox 720, following on from the 360, Microsoft has not confirmed this is what it will be called. Another couple of possibilities include Xbox Infinity and Xbox Fusion. Xbox 720 reveal: when will it launch? We'll have to see what Microsoft says tomorrow, if it says anything at all about a release date, but rumours suggest the Xbox 720 will be released later this year in time for Christmas. This makes a lot of sense and it's the kind of release date we would put our money on. Xbox 720 reveal: how much will it cost? This is a particularly hard one to call and the price is likely to vary from market to market. According to a leaked document the launch price of the Xbox 720 will be US$299 (with a two year Xbox Live subscription). To just buy the console outright, the suggested price is US$499. Hopefully Microsoft will give pricing details tomorrow but there's no guarantee. Xbox 720 reveal: what specifications will it have? Anything is subject to change but the Xbox 720's hardware specification has been leaked for a while now. Rumoured specifications include a 1.6GHz AMD processor arranged in two sets of quad-cores, a custom 800MHz graphics processor with 12 shader cores and 8GB of DDR3 RAM. It is also expected that the Xbox 720 will feature a large hard drive, although there may be different capacities available, and a DVD/Blu-ray drive. See also: Xbox 720 specifications revealed. Xbox 720 reveal: what features will it have? For starters, the Xbox 720 will supposedly use the same VapourMG magnesium which is used on the Surface tablets. Gaming features could well include a new version of the Xbox Kinect (V2 or version 2.0) which can support four players at once and games in full 3D. There's also talk of augmented reality glasses which can be used with the console. Beyond gaming, entertainment will no doubt be a key feature of the Xbox 720. According to The Verge, the next Xbox will get a redesigned dashboard interface with Windows 8 style live tiles. 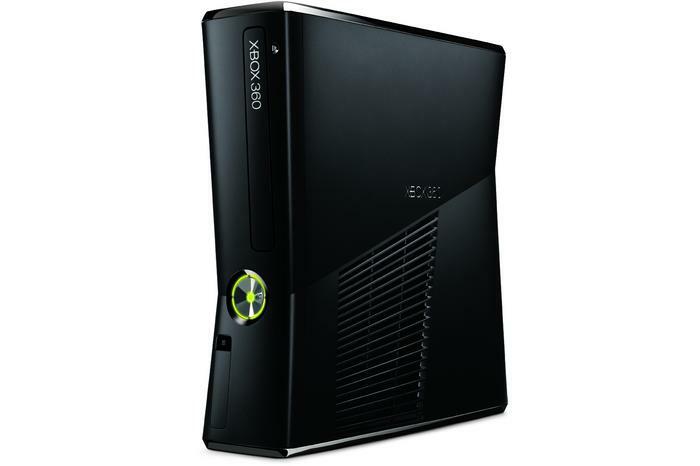 The current Xbox offers Sky, Netflix, LoveFilm and other service so you can expect even more from the Xbox 720. Major Nelson's quote (above) says the console will include "next generation TV and entertainment" so we could see features such as the ability to record TV programmes like set-top box. Cloud-streaming will no doubt be an important feature. We also wouldn't be surprise to see Skype integration in the next console. Key details which will hopefully be revealed tomorrow include whether the Xbox will require an internet connection to play games, whether backwards compatibility will be included and whether pre-owned games will be blocked from use. Xbox 720 reveal: will there be a new controller? Unlike the Wii U's radical GamePad, it is thought Microsoft will stick to a similar design to the current Xbox 360 controller. It will likely be an evolution of the existing design but no major change is expected. Xbox 720 reveal: what games will it launch with? While some launch titles will possibly be mentioned tomorrow, it's likely that the main set of Xbox games will be announced at the E3 gaming convention in Los Angeles. Microsoft has said a 'full lineup' of 'blockbuster games' will be showcased at E3. We're sure you're hoping for, along with us, mentions of Forza Motorsport 5, Halo 5, Fable 4 and Project Gotham Racing 5. We already know that the upcoming Call of Duty: Ghosts will be launched on the next Xbox. Other games announcements which have incorporated mentions of 'next-gen' or 'future' consoles and platforms include Ryse, Destiny, Wolfenstein: The New Order, Dragon Age III: Inquisition, The Evil Within, Thief and Assassin's Creed 4: Black Flag.